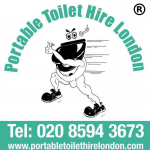 Would you like a career at Portable Toilet Hire London. Contact us with your details and the recruitment position you are applying for. We're hiring at Portable Toilet Hire London! matters in simple terms accessible to lay people.  Experience and Competence in using SAGE.